For the perfect outdoor escape, pack your bags and head on over to Remi Lake Holiday Bay in Moonbeam! Whether you are looking for an RV adventure or want to rough it out in a tent, our overnight, weekly and seasonal campground rental options let you enjoy the tranquility of the Northern Ontario wilderness with ease. With boat launching, hiking, fishing, wildlife viewing and more, our park is sure to have something for each and every member of your group. Peel the kids away from their iPad and cellphone screens for a weekend or longer! Just sit back, relax and escape to the great outdoors at Remi Lake Holiday Bay. Call us now or use the eform provided to make a reservation or ask us a question. Our park is located 24 km from Kapuskasing and 150 km from Timmins. 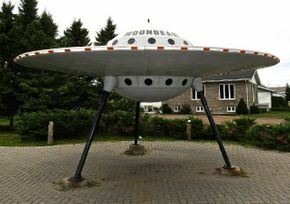 From Hwy 11 in Moonbeam (by the flying saucer), head north on Hwy 581 then drive 5 km to Ouellette Bay Road (across from church and large green airport hangar) and turn left to campground.